Better ingredients, better golf. Your source for news, reviews, interviews, and giveaways. Because golf does a body good. Tiger's back. Rory's back. Phil's back. Hell, even Poulter's back? Just about every big name in the field is coming into Augusta red-hot this week. The 2018 Masters is setting up as one for the ages. So of course, that means I'm going to have to up my Masters Giveaway game this year. This year we're having four prizes and four different winners. 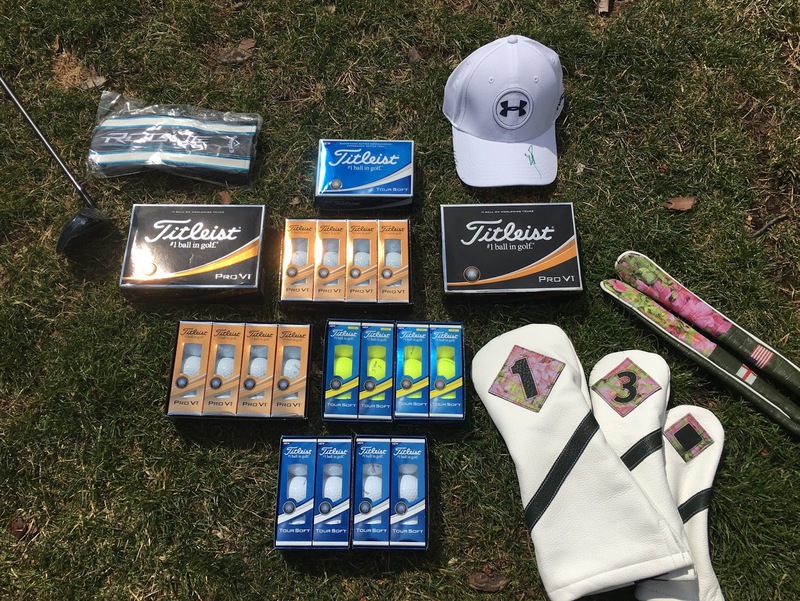 Each prize is directly or indirectly related to the Masters. 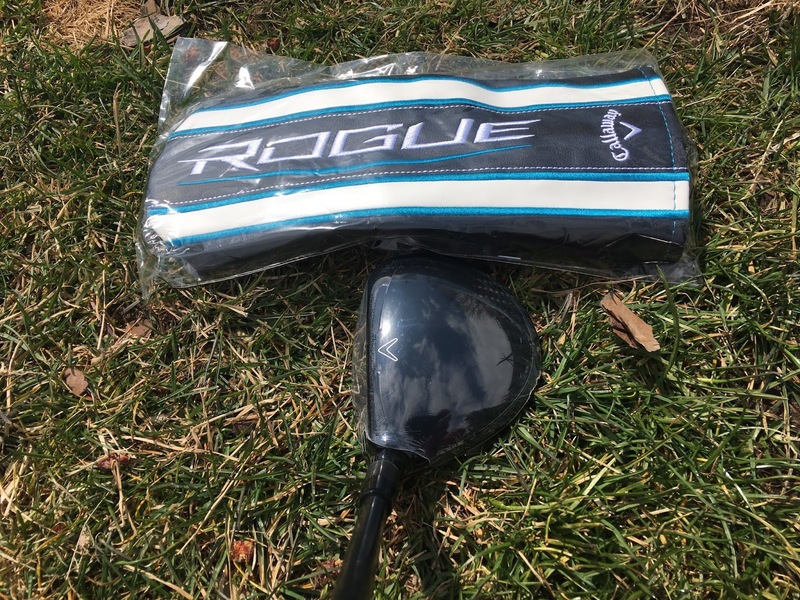 A Callaway Rogue Fairway Wood (currently played by reigning Masters champion Sergio Garcia). 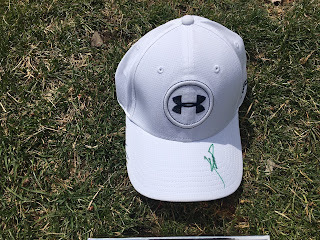 A signed Jordan Spieth Under Armour Tour Cap (the last American Masters champ and also signed in Masters green). 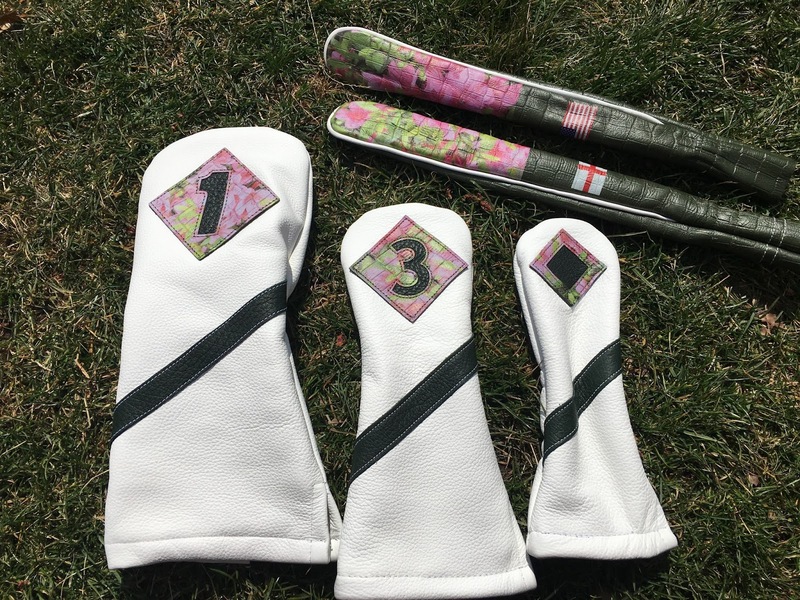 A full set of CRU Golf Limited Edition Masters headcovers. And your choice of a dozen Titleist Pro V1, Pro V1x or Tour Soft balls (the most played ball brand in modern Masters history). Getting excited? This giveaway will run from Thursday April 5th to Monday April 9th. I'll announce the winners the week after play is finished, and as always this one is open to everyone worldwide. There are three ways to enter. Enter all ways and that means you have three entries. First, leave a comment here on my blog. Let me know what makes The Masters special to you. What do you like about the prizes. Anything that's related to The Masters or this giveaway. Second, watch for my giveaway tweet on twitter and just retweet it and be sure you're following me and the company or player involved with the particular prize. Finally, on Instagram just like the giveaway announcement, and be sure you're following me and the company or player involved with the particular prize like on twitter. This year we'll have at least one guaranteed winner from each entry option. I know some of you don't use twitter, some of you don't use instagram, and some of you don't use either. So at least one winner will come from twitter, one from instagram, and one from leaving a comment below. Here's a bit more now about the prizes. 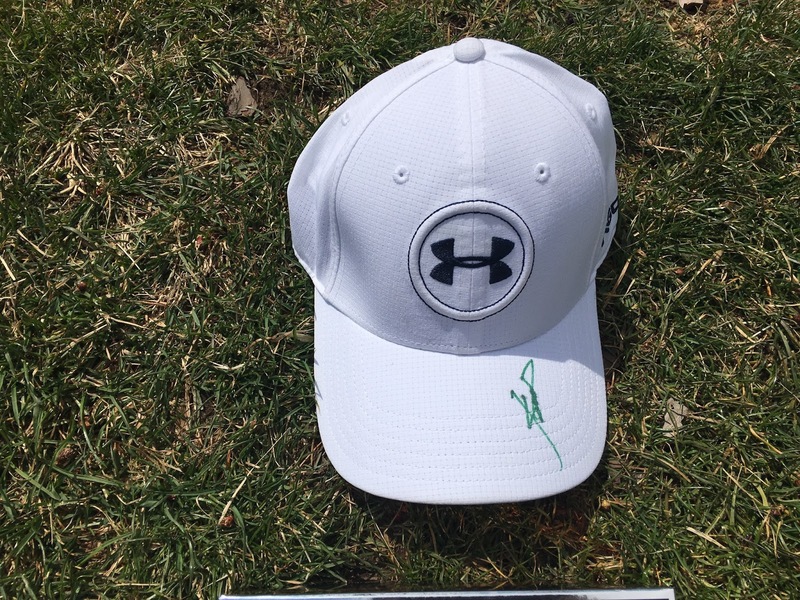 The Jordan Spieth signed Under Armour Tour Cap doesn't need much explanation. Official Tour cap, signed by Spieth, in a green Masters sharpie (rare to have him sign in this color and pretty cool). He's never finished outside the top-11 at Augusta. He's held the lead at The Masters in half of the rounds he's played in his entire career! If you're a Spieth fan you're going to really enjoy this collectible. One dozen Titleist Pro V1, Pro V1x or Tour Soft balls. The winner can choose what kind they want. The Pro V1 and Pro V1x are the newest 2018 versions, and the Tour Soft of course is Titleist's newest ball. If you followed my PGA Show coverage you already know I'm a big fan of the Tour Soft. A complete set of CRU Golf Limited Edition Masters Major Collection headcovers (Driver, 3 Wood, Hybrid). Every year CRU releases its major collection headcovers in limited run, and every year they're some of the finest collectible headcovers you'll find anywhere. 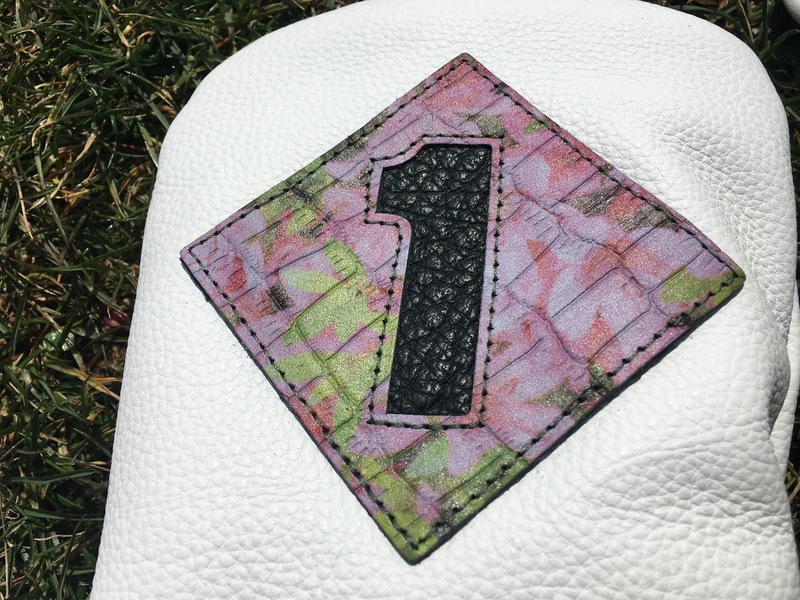 This year CRU outdid itself with a design that will instantly transport you to Augusta and all its natural splendor. 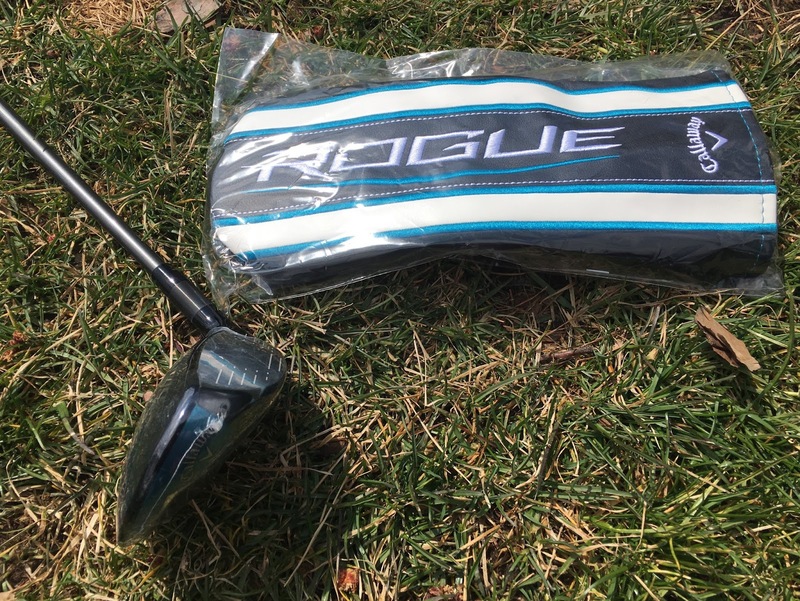 Finally, a Callaway Rogue 5 Wood. Right hand only (sorry lefties), but you can pick regular or stiff flex. This earned my top spot for best fairway wood at Demo Day earlier this year at the PGA Show. 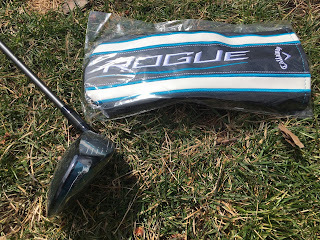 I'll tell you again as I said before: I'm convinced Callaway put absolutely everything they know about fairway woods into the Rogue line. I hope this giveaway adds to the excitement of Masters week for everyone who enters. Good luck to all and Happy Freaking Masters Week! Let's GO! Thanks for a great give away. I'd be grateful to win any of those prizes. I've been following you for years and I always check you out for your equipment reviews and pgatour takes. The Masters is my favorite tournament because of the course and history. Great job Pete! Amazing prizes. 1986, Jack was 46, the putt on 16 with the putter in the air. 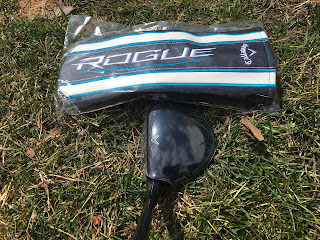 I bought my first set of clubs the next day. Never miss the Masters! The Masters is special to me because it is the best golf tournament all year! I live only 35 miles away and can feel the buzz from my house! The Masters is special because the top golfers battle for the top major of the year. It’s a pleasure to see that much talent meeting in one place and that one place is holy ground. The excitement and anticipation is one of a kind for me when this tournament arrives in April. Pete has the best prizes and makes his giveaways fun and exciting!! I look forward to Pete’s giveaways as much as I do watching the Masters!! The masters is definitely the World Series of golf loved by people of all ages. Thanks Pete! Another great giveaway. Master's weekend signifies the start of golf in full. Almost like someone telling you that you now have permission to golf. Hi Pete. Another great giveaway. I love the Masters as it starts the golf season plus the memories of watching it on tv with my Grandad!! The Masters is like Mecca for golfers, golf fans...basically, if you can’t get up for Masters week, then I don’t know what to tell you anymore. Looks like a great giveaway, Pete! Looking forward to the rest of the week! is generally considered to be the start of our season. Best part about Masters weeks is thinking back to the time when I was able to attend with my dad! The memories are the best. Hope to go back one day. Thanks for the giveaways! Great prizes! Masters is special because, even though it's always played on the same course, nobody can "master" it and the course always presents new challenges every year. As always, Pete delivers. Those Cry covers are incredible! Would look great in my bag. And titleist is always the way to go... I play pro-v. Masters is special because it is truly pristine and idealistic in a less than perfect world! My favorite week of the year!! And all of these prizes are wonderful!! We're not in golf season yet in Minnesota so I love getting to enjoy all that is Augusta, even from my living room. Hoping for an exciting Sunday with a bunch of players in the mix. Love hearing the theme music. I got to take my dad in 2015, it was just a great day and I was happy I was able to give him the experience of a lifetime. Wow great giveaway. Would be happy with any of those items. The Masters is by far my favorite golfing week of the year. The course is so pristine and classy. Glad to have been able to experience it live. Thanks for the great giveaway as always. The Masters is the best 4 day's of the year, get's us ready for a great golf season!! Love the prizes Pete. Masters means golf season has officially arrived in Ohio! Love the scene of the Masters, which means we are ready for golf weather in the Mid-Atlantic. Thanks for the great giveaway Pete...as if Masters week could get any better! I love the Masters because as a CPA, it signals being near the end of busy season. Also, since I'm in Indiana it signals the beginning of spring and golf season (although it is about 35 degrees today). All of the prizes are great, you are too good to us! I love the the masters because its the most important golf tournament of the year and its sort of the kickoff for the golf season in the northeast. Gets me all excited to play as well as watch golf all weekend long. Great stuff as always Pete. The Masters is always special to me because of the memories I have of watching with my dad when I was a kid. The first time I ever watched golf growing up was with my grandpa and we watched the Masters. Jack was my Grandpa’s favorite and soon became mine as well. Really love the beauty of the course! Would love to see it in person sometime. But yesterday’s Par 3 contest is pretty high on my all-time list. Tom Watson’s win, GT’s hole in one and Tony Finau’s ankle 😳 make it unforgettable. Pure and simple generosity . Thank you! Whats not to like? Its the perfect event at the best venue in the world. Thanks for such great giveaways! Everything about the Masters is great: top players, scenery, pageantry, drama...best week of the year!! The Masters is the most prestigious in all of golf. It reminds me of watching w/ my pop which helped me gain interest in the sport as a kid. The prestige not only with the tournament itself, but also in it's membership and everything that surrounds it adds to the mystique of actually stepping foot on the grounds a bucket list moment. Your giveaways always make these tournaments more fun! Nothing is as grand and emotional as the Masters. Go Tiger! Great prizes! Living in PA The Masters has been the "unofficial" start to my golf season. It gets the juices flowing for wanting to be out on the course. Hoping for a other great finish this year! Thanks for the generous giveaways!! I'll take the Rogue driver, Sergio isn't going to be needing it this weekend! The Masters has always been special to me and my family as I grew up only a couple of hours from Augusta and was fortunate enough to get to attend the event several times through the years. Great giveaways- thanks so much. Although "again" I did not get selected for Master tickets I dream of one day going to golf heaven and seeing all the beautiful things this magnificent course has to offer, where past and present great players have shown their grit and perseverance and shown us a great show. The prizes you graciously give back to us hackers a second to bar none outrageous and amazing gifts, you and sponsoring companies give back to it's fans of this game we all love and call it golf. As usual you have the best giveaways. The Masters will always remind of Arnold Palmer and the spark he had in his eyes every year! The Masters. Whether you like golf or not, you respect and know The Masters. I always loved the Masters but never really understood golf. All I knew was that I loved Tiger, Phil, and Augusta. After Phil won in 2010, I decided it was time to get a set of clubs. 8 years later, I play as much as I can and consider myself a golf person. This giveaway would mean a ton to me but either way, thanks for great content and great giveaways! My favorite thing about the Masters is how everyone, no matter of age has a chance! Thanks for the chance at some amazing prizes. This year's Masters will be a bit more special than previous ones as I had the chance to visit the storied grounds of Augusta National on Monday for the practice day. A good friend won tickets in the Masters lottery and invited myself and two others. Would be blessed with any of them. Just how beautifully manicured the landscape is! These are some great prizes....The Masters will always be special to me as it was som thing growing up I watched with my grandfather who taught me many things about the history of the tournament . Those were times I will cherish forever ! The Masters is special because it carries so much prestige and highlights the best of the best players. Awesome prizes! Big fan of Spieth and desperately need a new driver! The Masters is special due to the rich tradition and the fact that it is the unofficial beginning of the golf season. The prizes are amazing, partuculary the Cru head covers. Anything Masters themed is just special in it's own right. I was there for the first time this year..amazing to see the course in person! The Masters is special to me because it's the first golf event I ever watched. It got me into golf. Also for one of the prizes Jordan Speith is the golfer that got me into golf. Just the way wmhe plays the game and Carrie's himself on the course is amazing. Pete, so very generous! I have loved the Masters ever since watching the tournament as a child with my grandfather. I will watch the tournament in person one day. We even named my youngest daughter Juniper! Great! Now I have to watch baseball and golf?! Looking forward to the announcements! Thank you for the opportunity to win such amazing prizes. I have been hooked on the Masters ever since Mike Weir won. The cherry on top was Mike being handed his green jacket by Tiger Woods! Always love the Masters. The most beautiful course every year, and somebody always pulls off some incredible shot that makes you say, "I can't believe he just did that". The Masters is the pinnacle of golf. The tradition, the beauty of the course. If The Masters doesn't get you amped something is wrong with you. Thanks Pete for doing this sweet giveaway. You the man. Being that I was born, Augusta I have strong tie to Masters. Jack won his 6th Green Jacket my senior yearyea high school in 1986. I love everything about Augusta National Golf Club. The endless green grass, the azaleas, the dogwoods, the slopes, and everything that is beyond those gates. I love it all!!! As a boy watching the Saturday golf with my grandmother and seeing thoae beautiful Azaleas at Augusta I will be forwver reminded of her when I see them each year and the bond that golf has created that I now share with my son's. I hope one day to get fortunate enough to get a licky lottery pick amd get tickets to a practice round to see our favorite players like Rickie, Phil, Tiger, JT, Spieth and Rahm. Cru designs the most truistic lookimg headcovers that are so eye catching it's ridiculous. I hope to be fortunate enough to win and wish the same luck to others. Thanks again PGAPAPPAS!! WINNING ANY OF THESE PRIZES WOULD BE FANTASTIC! The Masters...The Masters. That’s enough said. The absolute best name for the event. Nothing can top it. The whole week is spectacular. These gifts are great. Rare signed Speith hat and digging the 3 wood a lot. Good luck to everyone and enjoy the Masters. The Masters is special to me, particularly this year when there are so many players in-form. I especially enjoy watching the European tour regulars perform in majors! There is nothing like the Masters. Although I live here in Augusta I have never been lucky enough to go. However, being able to own something from it would mean so much! Thank you. The Masters is everything golf. Traditon, beauty, challenge, and history. It’s is golf. Thanks for the awesome give aways. I love the Masters because up here in Boston it basically signals the start of the golfing season for us. Although it snowed today, watching all the spectators enjoying the day makes me feel warm inside! The prizes are great because they each tell their own story orbrhe Masters. Thanks for another great giveaway! I love watching the Masters because it is great to see who will win that green Jacket. I love seeing 1st time winners as well as repeats. Every Masters seems to have its memorable moments and shots from which we can learn. 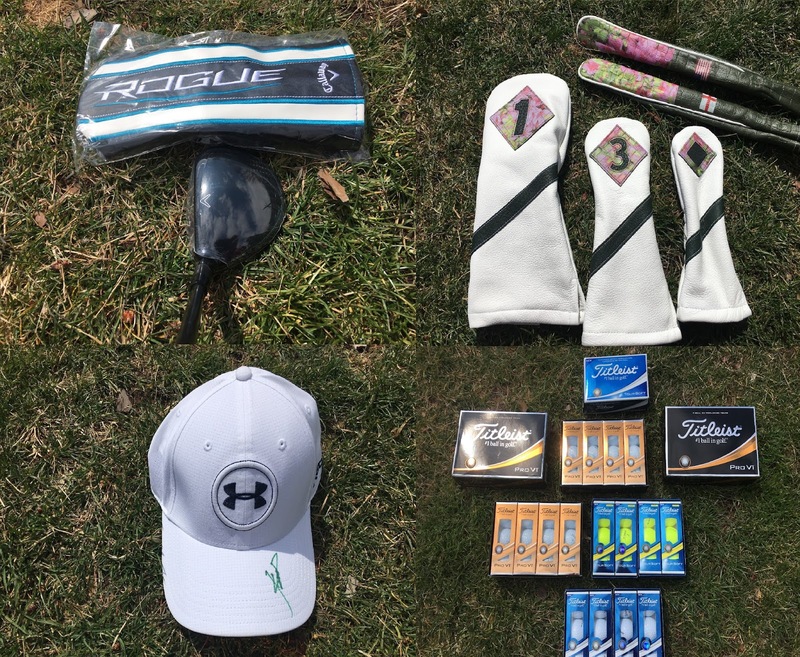 Your prizes are always amazing--have my eye on that Speith cap! Nothing better than Master's week! A tradition unlike no other, the Masters on CBS. The best think about the masters is all the history and love any giveaway that is for golf related items! Do you want to be participate in Idea lucky draw 2018? You are on the right place here just call us we will tell you how you can become idea lottery winner 2018. @PGAPappas. Awesome Inc. theme. Powered by Blogger.